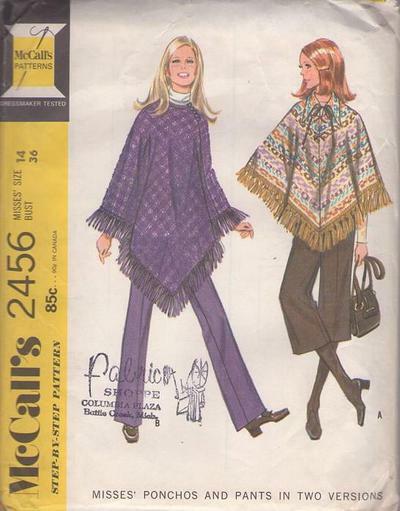 1970, 70s Outerwear, Retro Hippie Clothing Patterns - Poncho A has laced front neck opening. Poncho B has shoulder darts, neck bound with braid, button and loop closing. Pants have left side zipper.